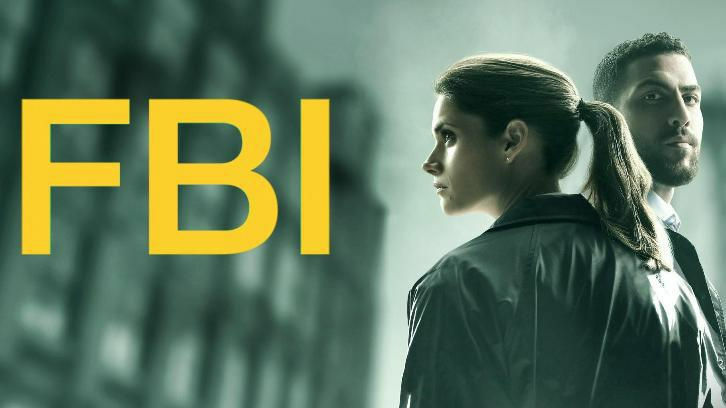 FBI's first four episodes are so similar that you might think the show has already settled into a pattern. Each one has involved mass murder. 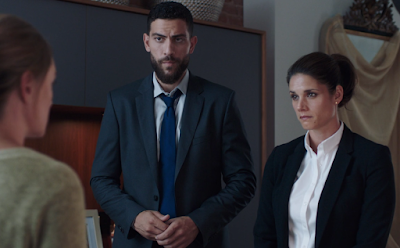 Three out of the four feature a stellar guest star playing a manipulated young person. OA gets a solid scene of character development to offset the awkward backstory dialogue they keep having him cough out. Someone or Maggie herself will allude to the fact she is a widow, with brief vague conversations and/or hushed tones usually reserved for discreetly inquiring about contagious illnesses. 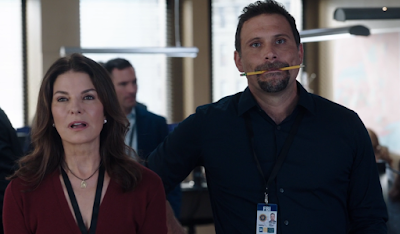 This show doesn't seem to like giving its characters moments to breathe. Every second they are working or thinking or telling us what we are seeing. It's not healthy. And something needs to change soon, because we are running out of air. "Crossfire" dragged, not just because the editing was dull, but also because the story was clunky and callous. Three people were killed by a sniper, in what seemed to be a completely random shooting. Another crime show or two have done something similar, where it turned out one person was targeted and the rest were just to make it look random. FBI quickly rules that out, as the sniper goes on to randomly kill other people in what seems to be disconnected locations. The team gradually uncovers that a veteran named Cole Cooper went on a killing spree after his girlfriend died. He lost his faith, got evicted from her apartment, flipped his lid, and decided to shoot up the lawyers who helped evict him and the apartment complex. It's not particularly suspenseful or meaningful. 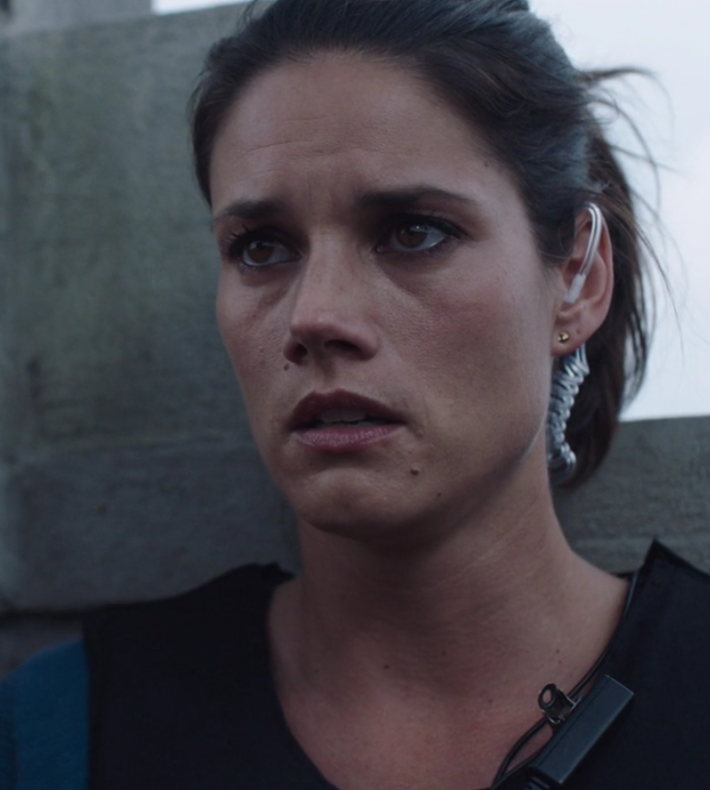 In fact, it almost feels like the whole story was drawn up just so that Maggie could try to appeal to the killer over their mutual losses. You know...to remind us she's a widow. Because there are no other ways to do that. 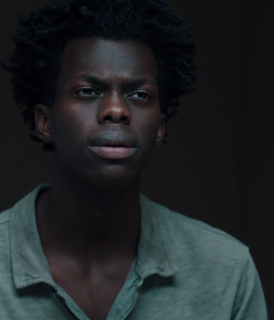 The standout part of the episode is Tim Johnson Jr.'s performance as Kofi, a young man that Cooper took under his wing. They apparently became friends before Cooper's girlfriend's death and even prayed together that she would be healed. Kofi was caught up in Cooper's crisis of faith and subsequent mental spiral. But his own story is tragic enough. He's under 18 but was left alone after his father was deported. He was in danger on the streets, until Cooper started looking after him. At the same time, Kofi is clearly distraught over what Cooper is doing, and that is how OA and Maggie are able to convince him to help them find Cooper. OA promises that they will look out for Cooper, but Maggie has to have him taken out by their own sniper when he won't listen to reason. That leaves Kofi alone again, to face prison time for his role aiding Cooper and hiding what he was doing. OA says he will be with Kofi at his sentencing, but it's a very sad ending to the case. Kofi asking "What's going to happen to me?" was moving. However, all the young people in crisis we have seen so far on this show have had emotional stories. We're probably not going to see any of them ever again though. Another thing that has really stood out to me about these first few episodes is the team cohesion. I'm not saying there's anything wrong with everyone working happily together, but everyone is so nice all the time. Why are they so nice? What has melted these people together into one big happy smooth candy bar? Are they friends or just very cordial single-minded coworkers? I need more humanity, more focus on what makes these people tick, and more interactions with each other during cases. Others might feel different, though, so feel free to sound off in the comments!